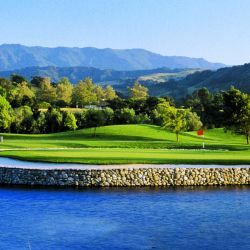 Like to golf? 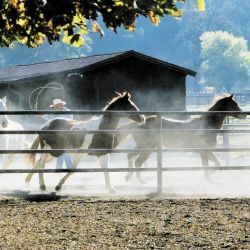 You will love Solvang! Join us on March 20 - 22, 2020 for a unique experiential culinary weekend. Don't miss the 28th annual Taste of Solvang on March 20-22, 2020, a weekend of events featuring Solvang farmers, chefs, bakers, winemakers, brewers, distillers, and artisans. Taste of Solvang showcases the bounty of Santa Barbara wine country set amidst our quaint Danish town. Taste of Solvang is sponsored by City of Solvang , Chumash Casino Resort, and Visit the Santa Ynez Valley. Advanced ticket purchases are highly recommended. Sign up here to be placed on the list to be notified when tickets become available. Events and hotels may sell out. All events may be purchased separately. Scroll down this page to find event check-in information. Where: Hotel Corque, 400 Alisal Road. * Must be 21 years of age to consume alcoholic beverages. “Thinking Outside The Box” is not included in Weekend Pass. Join us for a seasonal Danish brunch hosted by Solvang’s best farm-to-table catering company, K’Syrah Catering & Events. When: Saturday, March 21, beginning at 11 AM. 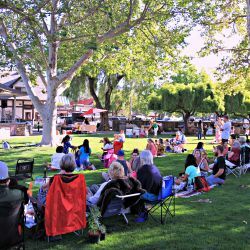 The Sidewalk Sale is co-sponsored by the Solvang Chamber of Commerce. The Weekend Passport includes 1 ticket each to Sip & Savor, Culinary Tasting Trail, and Wine & Beer Walk, with access to all three events, souvenir wine glass, and tote. Enjoy VIP 6pm Early Entry to Sip & Savor. 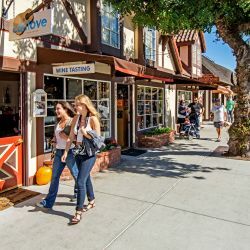 Enjoy complimentary tastings from 12+ participating wineries, breweries and wine and beer bars on this popular 2-day stroll through Solvang Village. Includes two-three 1-oz tastes of wine or 2-oz tastes of beer at each tasting stop and commemorative tasting glass. Wine and beer tasting menus and options vary by location. *Must be 21 years of age to participate in the Wine & Beer Walk. Limited to 3 pours per location. To be determined. Check back soon! Questions? Please email events@solvangusa.com for further information. Events are rain or shine; all tickets are non-refundable. Events are tentative and subject to change. Must be 21 years of age to attend Wine & Beer Walk.